Some key dates for your diary. Sunday 10th Safety boat & winch training. Sunday 24th Spring Dinghy races 1 & @. Maylandsea Bay Week 28th July to August 2nd. Current Sailing instructions are available to view above the "Signing On Table"
If a member is unable to attend for their duty as listed in the programme, then please try to change with someone. If this is not possible please inform the sailing secretary or rear commodore at least a week beforehand to enable alternative arrangements to be made. 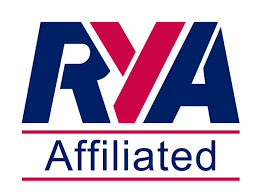 Members acting as race officers or crews may qualify for the average of their points for races sailed (before discards) within the series of races so missed, to the limit of 2 races in any series. Please sign “on” for the race missed race indicating the duty undertaken to ensure the your points are credited. Open Meeting, Winter Series etc., entry fees to be paid at the time of entry.